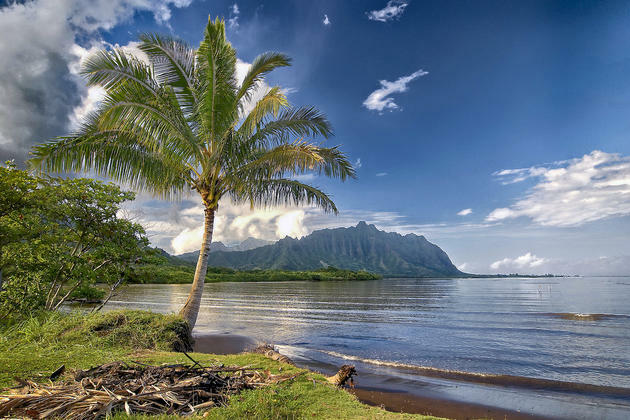 When most people hear Hawaii what usually comes to mind are the beautiful beaches of Waikiki – Oahu to the oasis of Maui, yet many people haven't explored the garden isle of Kauai, or the volcanic hot spot of Hawaii. 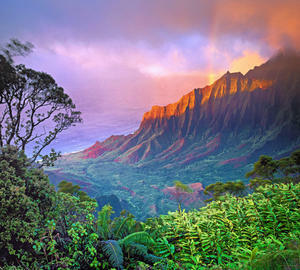 Oahu and Maui are only the beginning to what is ready for exploration on the beautiful islands of Kauai, and Hawaii. Having been to all 4 major islands, I decided to post my top ten favorite spots to visit and explore on each island. Being the oldest (and smallest) of the four major islands, Kauai has a lot to offer for visiting tourists. Dubbed the "Garden Isle", it really does live up to its name. Mount Waialeale at the center of the island receives over 452 inches of precipitation a year, making it one of the rainiest spots on this planet. I have carefully put together a top 10 to-do list while visiting Kauai. This scenic area on the island's north west coast is one of the most breathtaking naturally made coast lines in the world. It offers some of the most beautiful beaches. 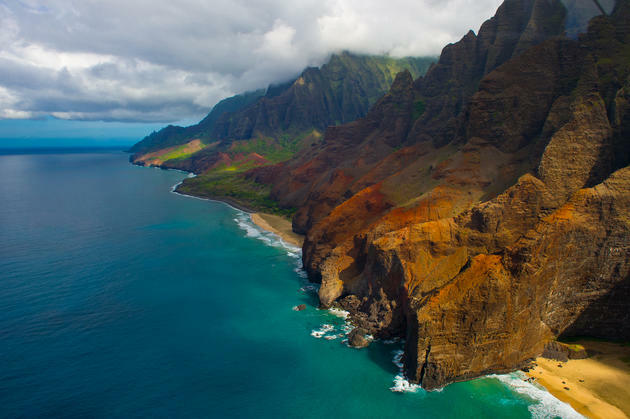 The Pali (cliffs) rise as high as 4,000 feet (1200m) above the beautiful pacific ocean. The coast can be enjoyed by hiking, boating (kayaks), and by air (either helicopter or small airplane). A definite must see! 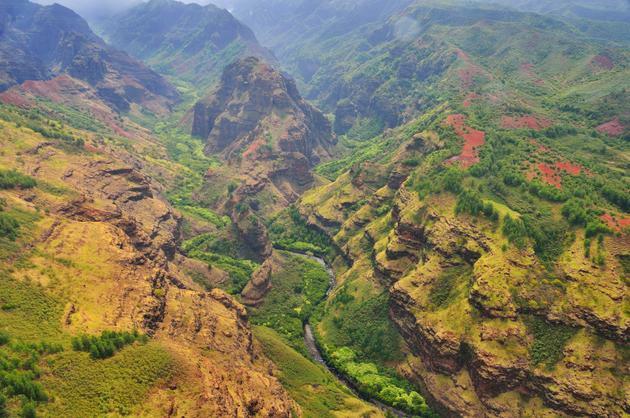 Dubbed "The Grand Canyon of the Pacific," Waimea Canyon is 10 miles long and 3,600 feet deep. The canyon has a unique geologic history; it was formed not only by the steady process of erosion, but also by a catastrophic collapse of the volcano that created Kauai. If you've been to the Grand Canyon this is extremely beautiful and definitely comparable! This beautiful trail snakes along the spectacular Na Pali coast. 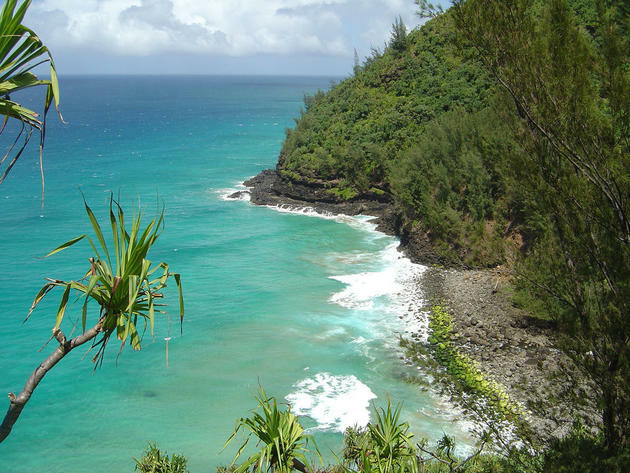 The trail extends for 11 miles (18km) from Ke'e beach to Kalalau Valley. Hiking the Kalalau Trail is one of life's most spiritual adventures, full of wonder and awe at nature's beauty. It takes roughly one day trip if you're in tip top shape. Polihale state park is a historical state beach park that offers breathtaking views and landscape. The state park is also home to the famous "Whistling Sand Dunes." These dunes actually whistle when you slide down them, each whistle being unique to your body figure. The only way to the park is via a dirt road which has many ruts and potholes; this makes it difficult for non-4WD vehicles to access the area. The park is located to the north of the Pacific Missile Range Facility. Limahuli is a botanical garden and nature preserve on the north shore of Kauai. The name comes from Lima Huli which means "turned hand" in the Hawaiian language. Limahuli lies within a tropical valley covering three distinct ecological zones. 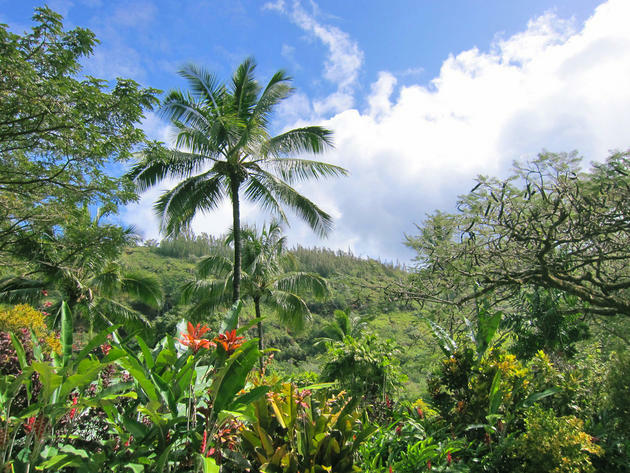 The garden contains a wide range of native and Polynesian-introduced plants as well as taro terraces that originate back to the early Polynesian settlers. Voted America's best natural botanical garden, it definitely will awe you and your close ones. The highlight of Hanakapial Falls is a very tall 300 ft waterfall nestled deep in the back of Hanakapiai Valley. 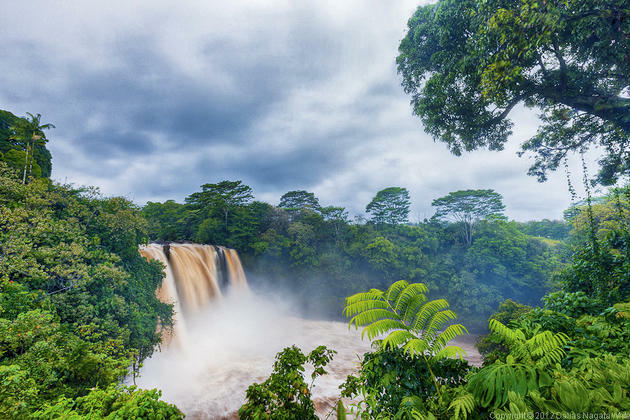 This breathtaking tour will take you on a 4 mile round trip through the beautiful valley, crossing numerous streams and experiencing the plant life these falls have to offer. Definitely worth the hike! Head to the south shore of Kauai and see why the "Travel Channel" once named Poipu Beach America's Best Beach. 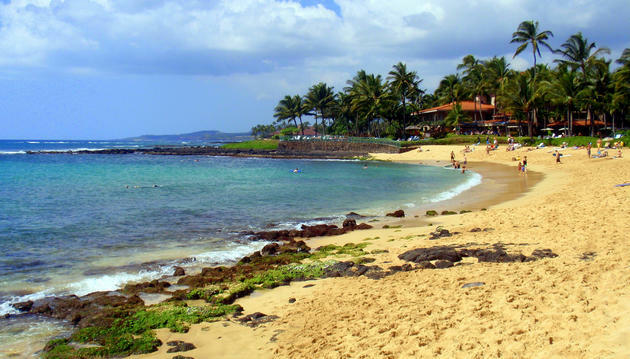 Poipu Beach Park is one of the most popular and safest beaches on the island. The inviting waters of Poipu make it very popular with visitors, locals and even local marine life. 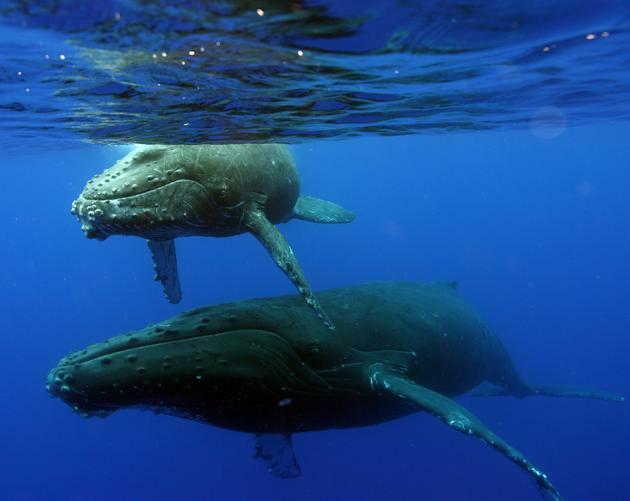 It’s not uncommon to spot humpback whales spouting off shore. Large honu (Hawaiian green sea turtles) also swim in these waters. But Poipu Beach is most famous for the endangered Hawaiian monk seals that sometimes sunbathe on the shore. 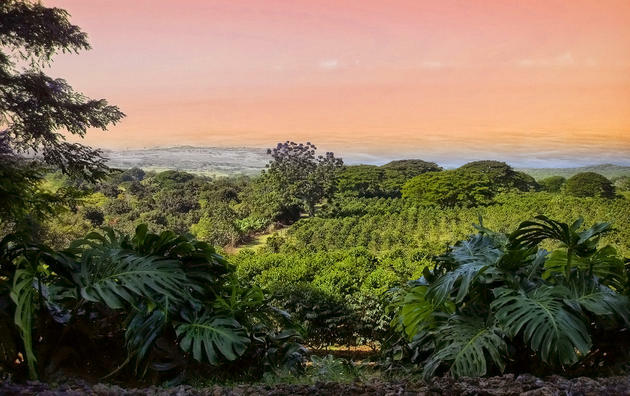 The warm Pacific sun, rich volcanic earth, abundant mountain rain and cool trade winds of Kauai create ideal conditions for growing outstanding coffee. 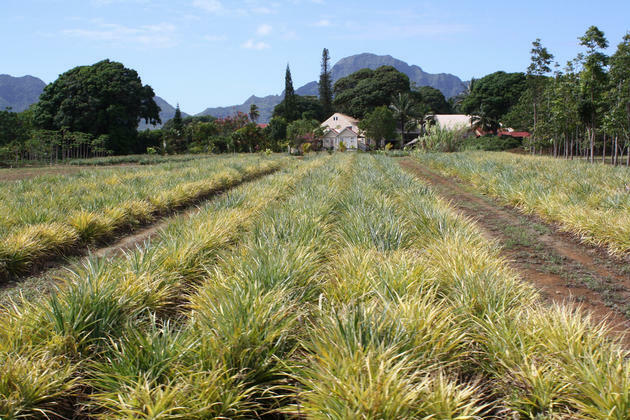 Kauai Coffee Company is Hawaii's largest coffee grower, and the largest grower in the United States, with over 4 million coffee trees grown on 3,100 acres. Kauai Coffee Company is a true coffee estate. From roasting to packaging, this coffee estate always has tasting going on. Enjoy a fresh cup of one of Hawaii's best! This Luau is offered in the island's capital of Lihue. Each island has a different take on the authentic traditional Hawaiian party and feast. Every other Luau has a wide variety of native Hawaiian cuisine and entertainment. 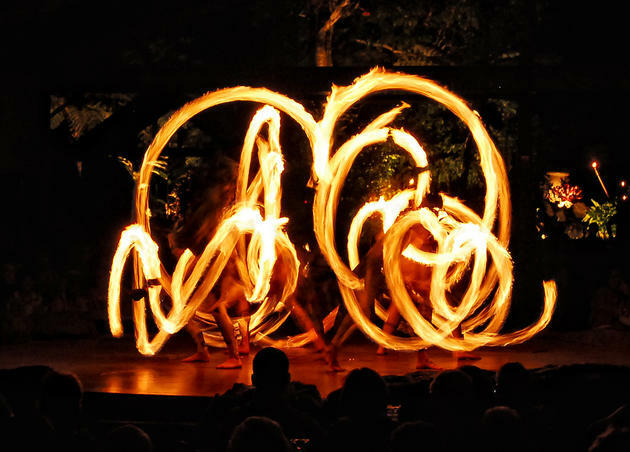 From hula dances to fire breathers, this Luau is a definitely a night well spent. This authentic sugar plantation dates back to the early 1930's and offers a unique look into the sugar cane industry. Seeing everything involved in sugar industry – from antique equipment to modern day equipment – this tour really opens your eyes to how much effort it takes to make sugar. Oahu, known as "the gathering place", is home to 75% of the state population. This island offers a lot for tourists: from Pearl Harbor, to north shore, to the various attractions of Honolulu. I've carefully chosen top 10 attractions that are unique to Oahu and are definitely worth the visit. The most important piece of Oahu lies within the capital. This harbor is a definite must see for the U.S.S. 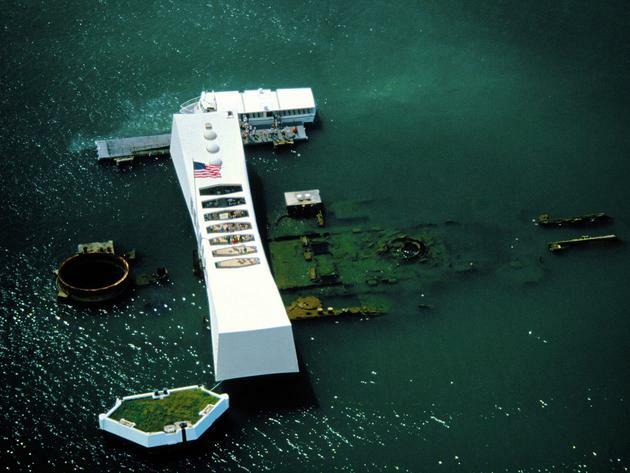 Arizona Memorial/WWII Valor in the Pacific National Monument. Having been bombed by the Japanese on December 7, 1941, one must pay tribute to those who have fallen during this disastrous day. Pearl Harbour also offers the U.S.S. Missouri Memorial and the National Cemetery of the Pacific, where 25,000 soldiers who bravely fought in the war are at last at peace. This is definitely time well spent! Being the capital of the state, this beautiful city has much to offer. 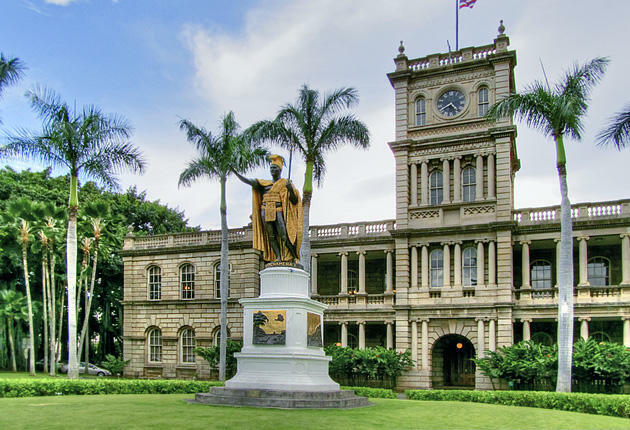 From its state buildings, ʻIolani Palace (seat of the Hawaiian Monarchy), Diamond Head, and Waikiki beach, this capital has all the big amenities including the outstanding tourist attractions. 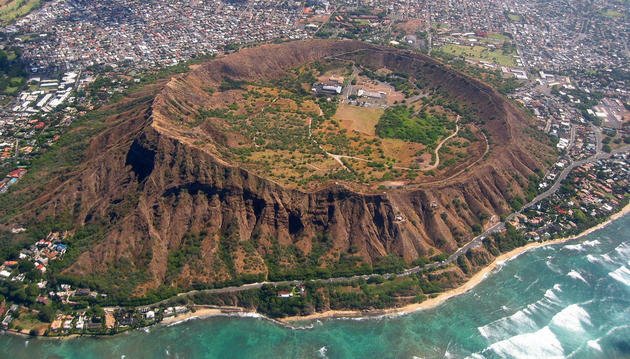 This major tourist attraction in Oahu, is a 350-acre Diamond Head crater that can be seen even from the flight into Honolulu airport. 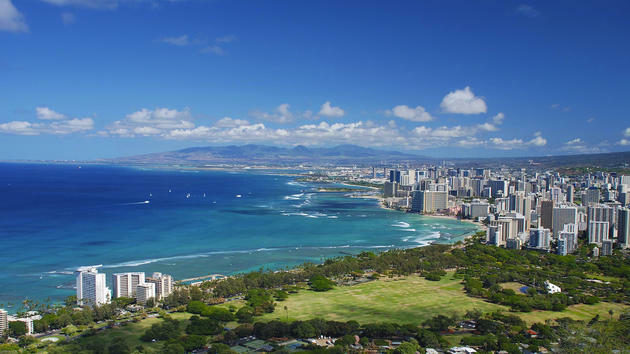 The vantage point offers some incredible panoramas of Honolulu that you will not be able to find anywhere else. There are two stair cases to the way, one being 75 steps and the other 99 steps, as well as a 225 ft tunnel to this gorgeous camera-lovers' dream! This magnificent crater is a must see. Being on the east side of Oahu, this crater offers probably the best 360 degree view of the surrounding area including the Pacific. Koko head is an ancient tuff cone (type of rock consisting of consolidated volcanic ash ejected from vents during a volcanic eruption) and it is somewhat dwarfed by the massive Koko Crater once being an ancient volcano. Even though these aren't natural, these 4 man-made lagoons are beautiful for both snorkeling and sunbathing. Multiple resorts around this beautiful area sure to entertain you and your children. Being the only palace in the entire United States of America really sets it apart from everything else. This beautiful structure is actually the 2nd building on this site. 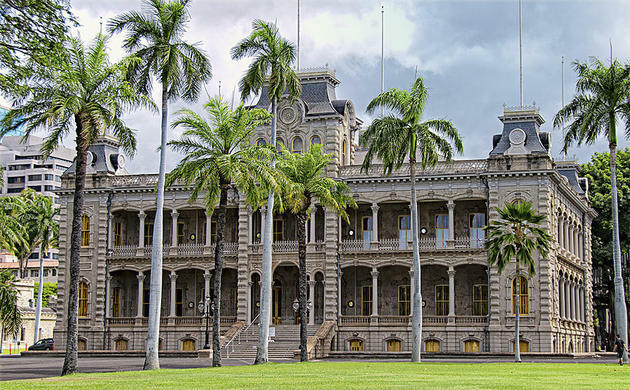 Completed in November of 1882, it became the grand seat of the Hawaiian Kingdom. This National Historic site and Museum are definitely worth the visit. Situated on the northern side of Oahu is the widely known 'North Shore'. Home to world class surfing, beautiful beaches, the Dole Plantation, Kualoa Ranch, Waimea Valley and many more. Don't just sit around Waikiki beach, definitely make a trip to other parts of Oahu's north shore; don't forget to take surfing classes! Makapuu Point is a beautiful, scenic spot overlooking the Makapuu Peninsula. 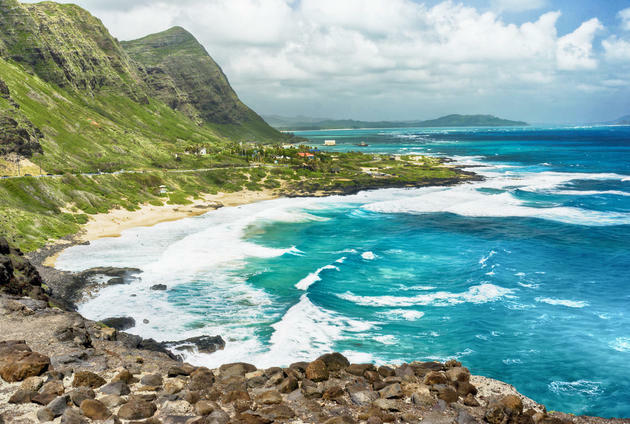 This destination is a popular hiking spot, offering great views of Makapuu and Waimanalo Bay on one side and the KaIwi Channel on the other side. In the winter it is a key destination for whale watching and also a departure point to the smaller islands of Molokai and Lanai. This is truly a beautiful destination. Waimea Valley is an area of historic cultural significance on the North Shore of Oahu. 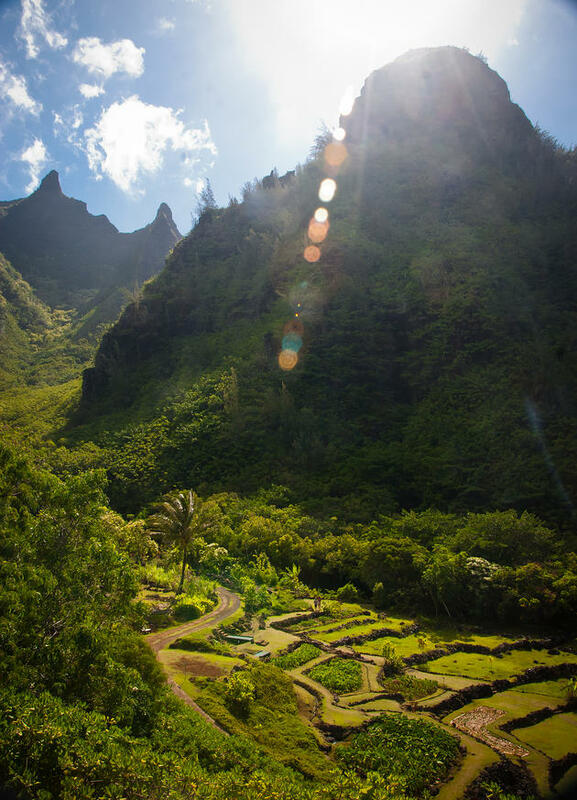 The valley, being an important place in Hawaiian religion, includes several historical structures including stone terraces and walls constructed during the time of the Hawaiian monarchy. Also home to an amazing botanical garden and numerous waterfalls this valley sets itself apart from others. 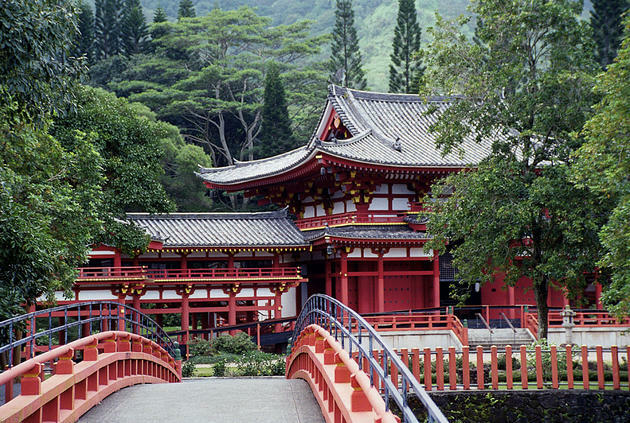 Located at the foot of the 2,000 ft. Koolau Mountains in the Valley of the Temples in Oahu's Kaneohe Region sits the beautiful Byodo-In Temple. The Byodo-In Temple was built in the 1960's to commemorate the 100th anniversary of the arrival of the first Japanese immigrant workers in Hawaii who came to work in the sugar plantation fields. It is a replica of the 950-year-old Byodoin Temple located in Uji, Japan on the southern outskirts of Kyoto. As you cross the wooden bridge to enter the temple grounds you will surely get the feeling that you are traveling to a place far different than anywhere else in Hawaii making this a destination far beyond any expectations. Being the 2nd largest of the Hawaiian Islands, Maui truly sets itself apart from the other islands. Native Hawaiian tradition gives the origin of the island's name in the legend of Hawaiiloa, the Polynesian navigator credited with discovery of the Hawaiian Islands. According to that legend, Hawaiiloa named the island of Maui after his son, who in turn was named for the demigod Maui. The island of Maui is also known as "Valley Isle". This beautiful island is home to multiple attractions and below are the top 10 which I believe set it apart from other islands. The Ocean Project is marine education for kids and families (and kids at heart) who want to learn about the marine environment. It is based on the principle that “knowledge is power”. Its backbone is three part education, field research and interpretation. A truly fantastic hike! 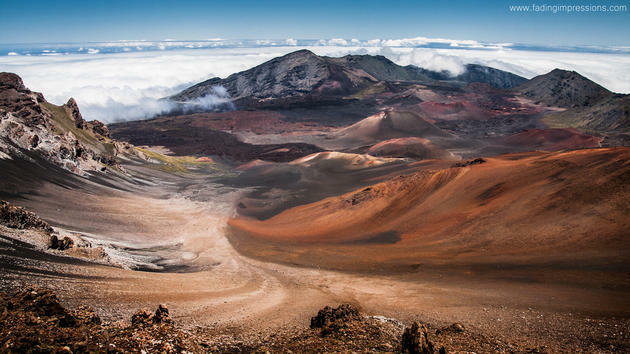 The Pipiwai trail hike is located in the spectacular Haleakala State Park at the Oheo Gulch. It is a 4 mile round trip hike up a valley to a 400 ft waterfall with many great sites along the way. 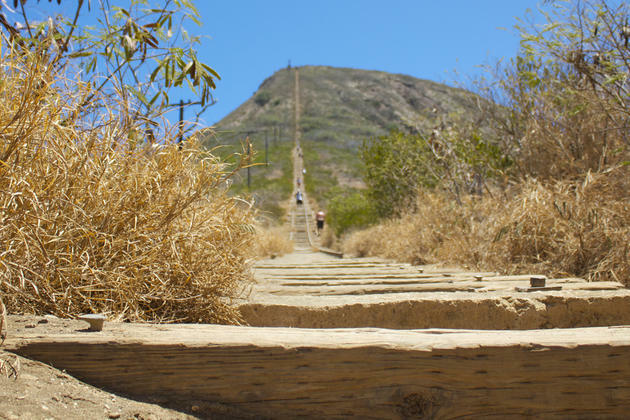 It is well marked and has boardwalks and steps to make this moderate trail easier. 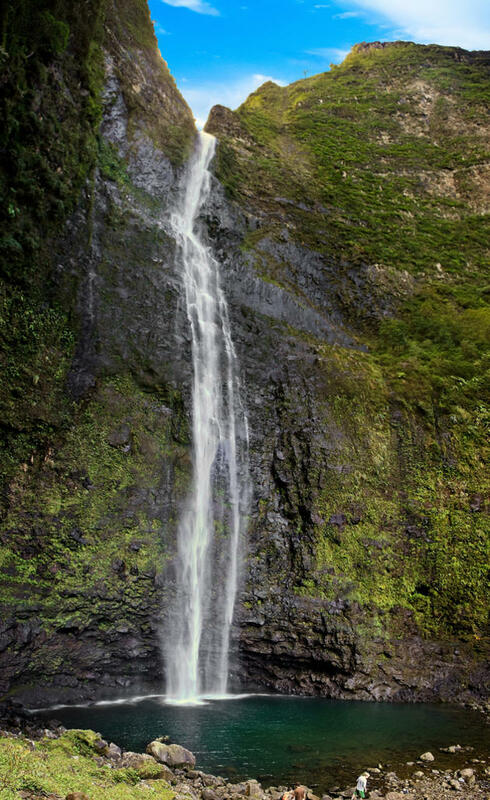 You will be going up about 700-800 ft. in elevation to get to Waimoku Falls at the end of this beautiful valley. Early Hawaiians applied the name Haleakala ("House of the Sun") to the general mountain. This volcano helped develop 75% of the island's total land, the other 25% were formed by the West Maui Mountains. The drive up to view the sunrise from the summit of the Haleakala Crater is long and has to be completed early in the morning. It can be very cold at the summit (approximately 10,000' above sea level) compared to the rest of the island, so dress appropriately. If you make it before the sunrise, be sure to have your camera ready – the sunrise is stunning but short. 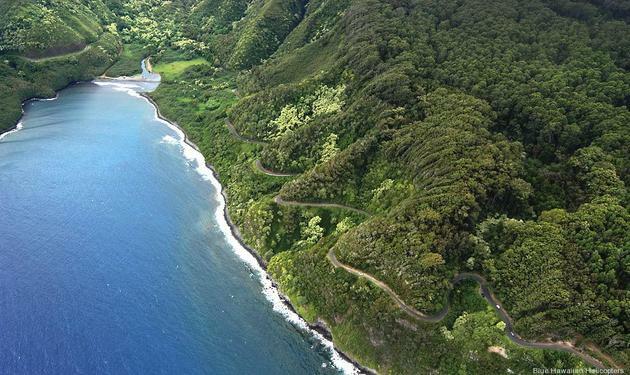 The Hana Highway is a 68-mile (109 km) long stretch of Hawaii State Routes 36 and 360 which connects Kahului with the town of Hana in east Maui. Although Hana is only about 52 miles (84 km) from Kahului, it takes about 2.5 hours to drive when no stops are made as the highway is very winding and narrow and passes over 59 bridges, 46 of which are only one lane wide. 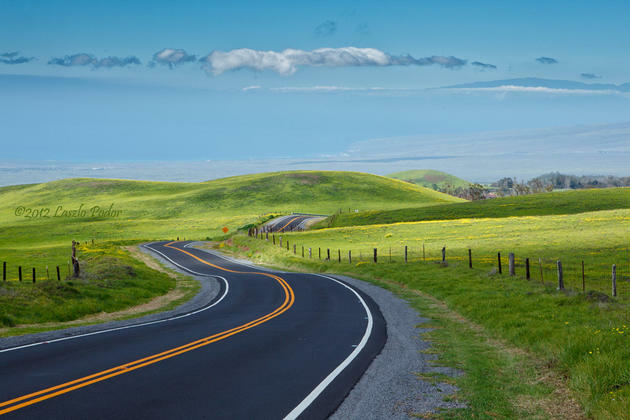 There are approximately 620 curves along Route 360 from just east of Kahului to Hana, virtually all of it through lush, tropical rainforest. 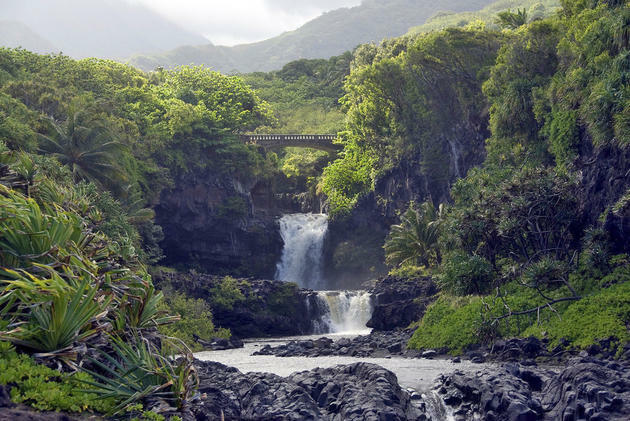 More widely known as the "Seven Sacred Pools", this series of lovely waterfalls and tranquil pools flow through the Oheo Gulch and into the ocean nearby. The Pipiwai Streams feed these falls and numerous pools starting 2 miles inland. 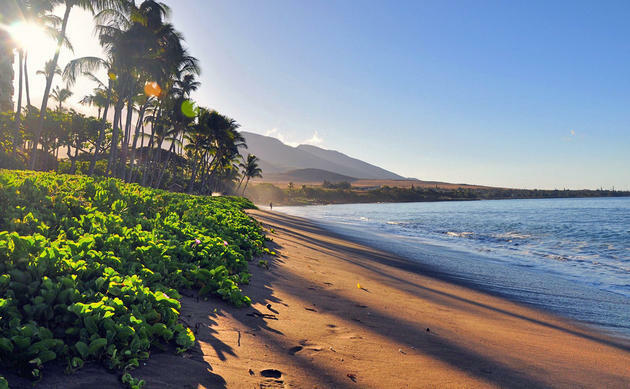 With three miles of white sand and crystal clear water, it’s no wonder why Kaanapali Beach was once named America’s Best Beach. Kaanapali was Hawaii’s first planned resort and has become a model for resorts around the globe. 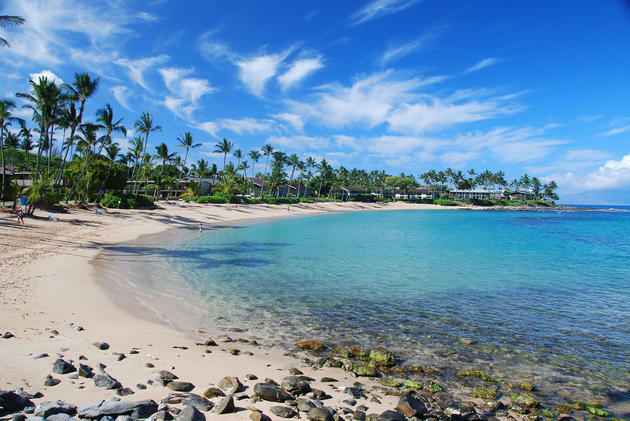 Napili bay with its crescent shaped beach, blue azure waters, and powdery soft sand is one of Maui's most charming beaches. Home to exquisite swimming, snorkeling, and tanning this beach has a lot to offer. When visiting Napili beach don't forget to check out the Maui Brewing Company! At the end of the Hana Highway lies the marvelous Waianapanapa State Park. 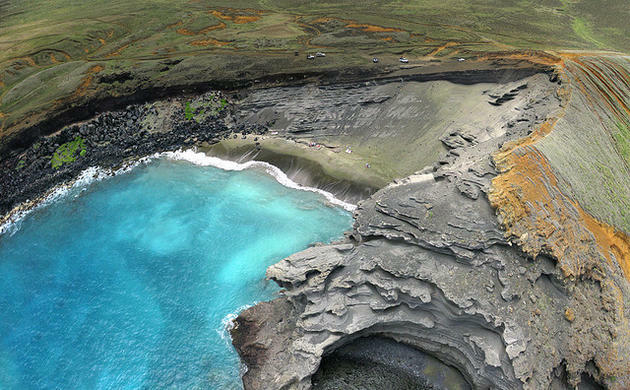 This remote, wild, low-cliffed volcanic coastline offers solitude and respite from urban life. Lodging, camping, picnicking, shore ﬁshing and hardy family hiking along an ancient Hawaiian coastal trail which leads to Hana are just a few of the highlights. This is also an excellent opportunity to view a seabird colony and anchialine pools. Other features include native hala forest, legendary cave, heiau (religious temple), natural stone arch, sea stacks, blow holes and small black sand beach. 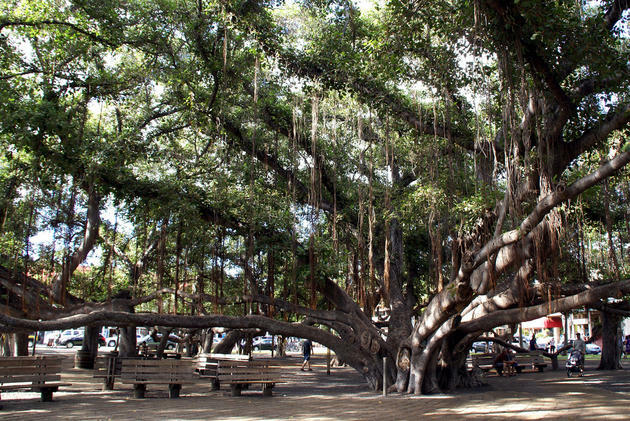 Located right in the heart of Front Street in Lahaina is this mind-blowing banyan tree. Imported from the beautiful country of India, it was planted in April 1873 and measured just 8 feet (2.5 m) in height back then. Today, it is over 60 feet (18 m) high and looks like a mini forest with several tree trunks. The interesting thing about banyan trees is that they only grow sideways. Their roots grow down from the tree trunk until they reach the ground to form a new trunk. The banyan tree in Lahaina now has 12 major trunks, in addition to its huge base structure. The tree covers an area of 200 feet (61 m) and shades two-thirds of an acre. Even though it looks like there are at least a dozen trees in this park, it’s actually just a single tree. The Lahaina banyan tree is one of the largest in the world. This lush, stream-cut valley in west Maui is home to ancient volcano that helped form 25% of Maui's landmass. The most notable structure in the park is without a doubt the rather phallic Iao Needle. It is said to be the result of millennia of water pressure eroding volcanic rock, and it pokes out from the side of the valley, standing over 2000 ft. tall. 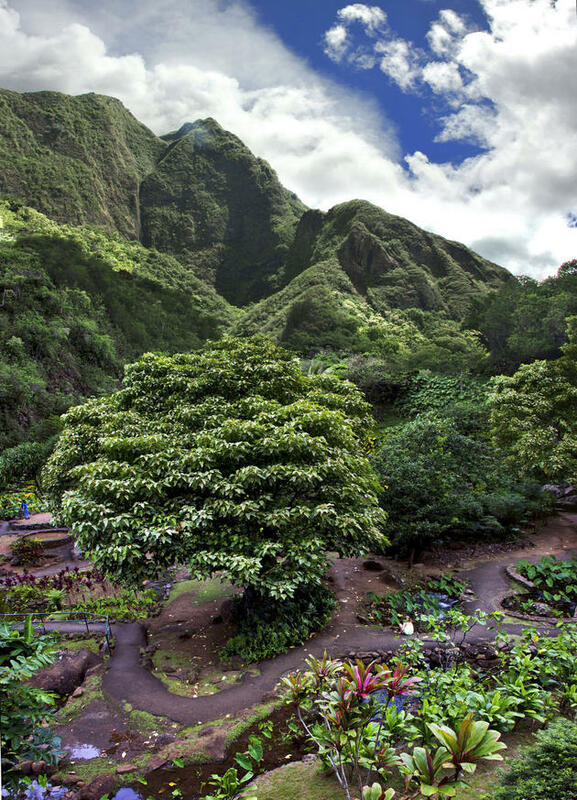 The Iao Valley was once the site of important battles, and also serves as a sacred space because royalty was buried there. For this reason, people are not allowed to hike through the Valley. Visitors must follow the established paved paths which are lined with info boards providing you with the history and the significance of the site. At last my favorite of the 4 major islands – the big island better known as Hawaii. Having been born from 5 major volcanoes, this unusually large island is bigger than all the islands, islets, and atolls of the Hawaiian island chain combined. Named after the legendary Polynesian navigator Hawaiiloa, this island is by far so unique that it's definitely out of this world! Here's my list of must-see locations! At 13,796 feet, this peak offers an incredible view of lava, desert, the valley and Mauna Loa. Free guided summit tours are available on Saturdays and Sundays from 1:00-5:00 PM (be sure to double check the times), and the Onizuka Center offers free nightly stargazing from its telescope array as soon as the sun sets. Incredibly, this volcano is actually the highest peak on this planet measured from sea floor to its peak. 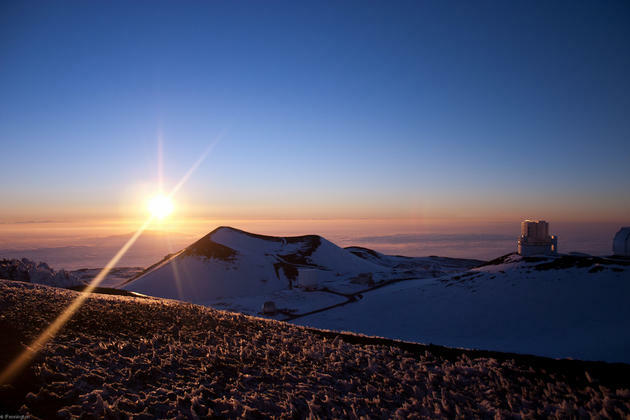 Mauna Kea stands at more than 10,200 m (33,500 ft), significantly taller than the elevation of Mount Everest above sea level. The drive isn't long at all and the view is amazing when no clouds/rain are present. Situated on the peak of Mauna Loa sits an incredible scientific experiment. This observatory was specifically chosen to be on this peak since Hawaii is in the middle of the Pacific. 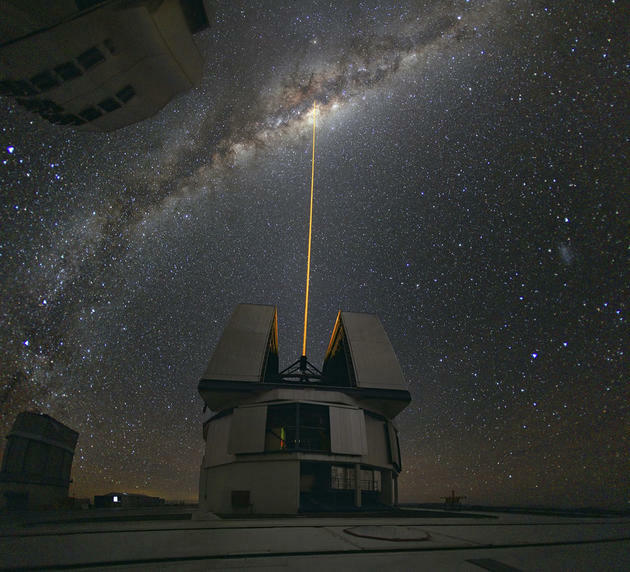 Having no outside interference from the continents, this observatory is home to many research projects. Sunrises, sunsets, and especially the star gazing is a must at this location. 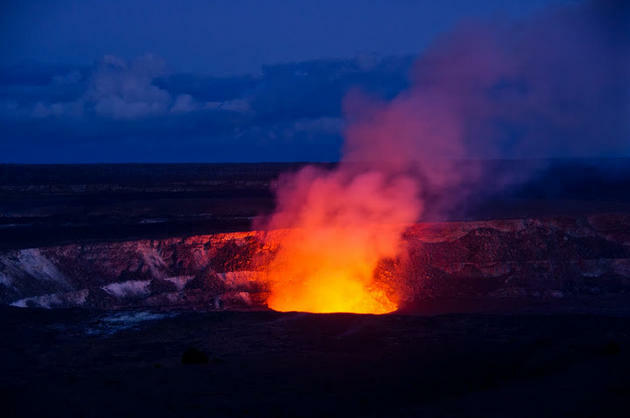 This active volcano has built itself on the southeastern slope of Mauna Loa. It features a caldera approximately 4 by 3.2 kilometers wide and walls from zero to 120 meters high. Definitely a must-to-enjoy tour in and around the park either by car/walking or by helicopter. If you do drive don't forget to check out the infamous Chain of Craters road. This road has multiple rock beds all over the highways due to lava flowing right over them on its way to the ocean sea floor. Only visible by helicopter is the active lava flowing down the eastern slopes into the Pacific ocean creating new terrain for the beautiful island of Hawai'i. Pu'u Huluhulu trail crosses 1973 and 1974 lava flows of Mauna Ulu, through kipuka, past lava trees, and climbs 150 feet to the summit of Pu'u Huluhulu. On a clear day, you can see Mauna Loa, Mauna Kea, Puu O'o and the Pacific Ocean. You'll experience the work of the volcano goddess, Pele, firsthand on this hike. 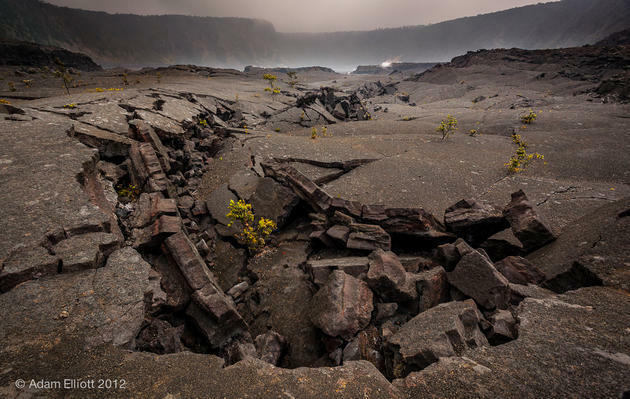 The 4-mile trail begins at the visitor center, descends through a forest of ferns into still-fuming Kīlauea Iki Crater, and then crosses the crater floor past the vent where a 1959 lava blast shot a fountain of fire 1,900 feet into the air for 36 days. The walk to the crater, through it, and back definitely is an experience of a lifetime. Coffee is becoming a huge market around the world. Why not try the best and rarest cup of coffee? Kona coffee is very unique in its flavor, roast, and presentation. This coffee is hard to come by around the world and if so is extremely expensive. Try out a tour of any of the plantations to give it a try! 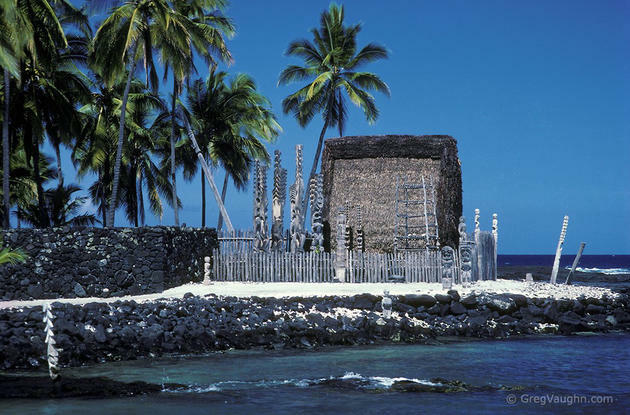 One of the most accessible, interesting, and enchanting cultural sites in the State of Hawaii is the Puuhonua o Honaunau National Historical Park. Translated, the “Place of Refuge at Honaunau” is the most complete restoration of an ancient Hawaiian religious sanctuary in Hawaii. 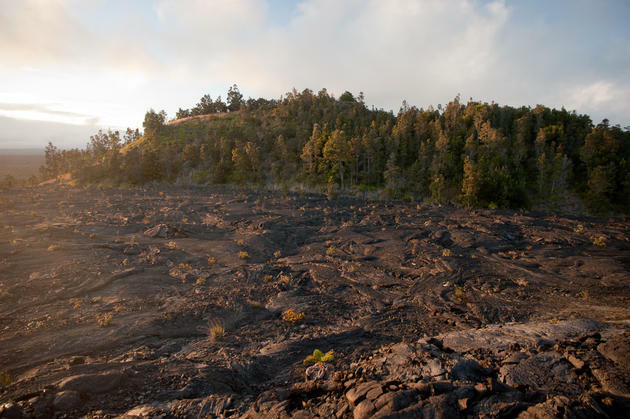 On the black lava flats of the southern Kona Coast, Puuhonau o Honaunau is a preserved ancient Hawaiian village – be sure to visit this rare sight. Settled over a thousand years ago, the surrounding area contains many archeological and historical sites such as religious temples. Famously known for it being a part of Captain Cook's voyage into a new world, he landed on this beach with his widely publicized first steps and ironically his last steps. The bay is also a marine life conservation district, a popular destination for kayaking, scuba diving, snorkeling, and a great place to book a whale watching tour. 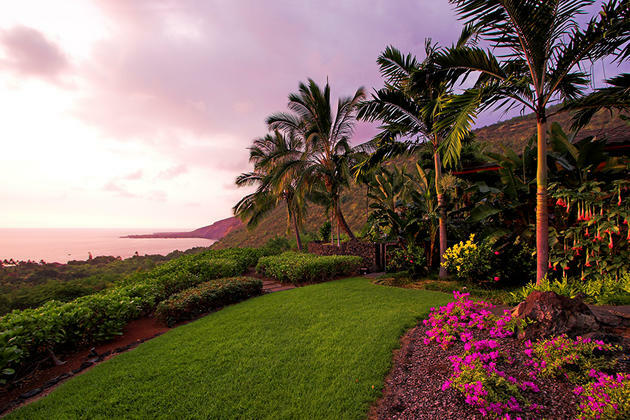 Pololu valley is situated in a remote area at the very tip of northernmost part of the island. Pololu is the last in the chain of inaccessible valleys. Most tourists come to see the lookout which overlooks a lush valley and surrounding sea cliffs, but a gem is hidden in the Pololu Valley. At the water’s edge lies a black sand beach. This is one of the most spectacular panoramic views on the beautiful big island. 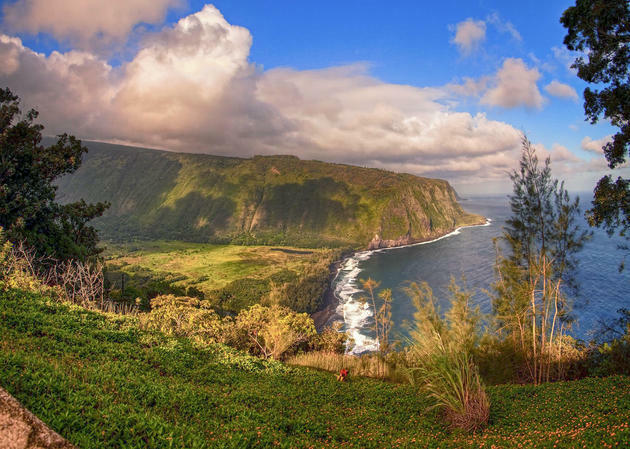 Waipio Valley long sat as the capital and permanent residence of Hawaiian Alii (kings). 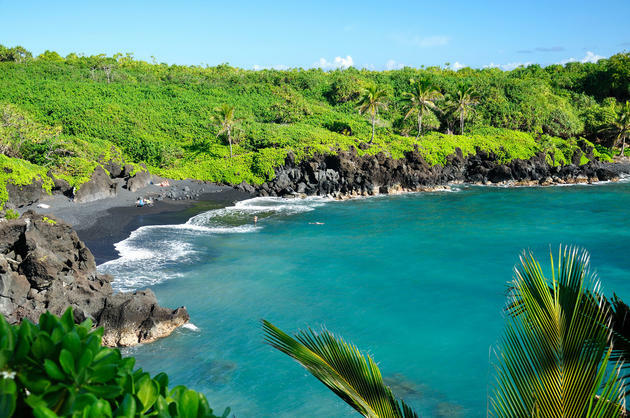 The shoreline in the valley is an amazing black sand beach, popular with surfers! A few taro farms are also located in the valley. Several large waterfalls fall into the valley to feed the river which flows from the foot of the largest falls at the back of the valley out into the Pacific. 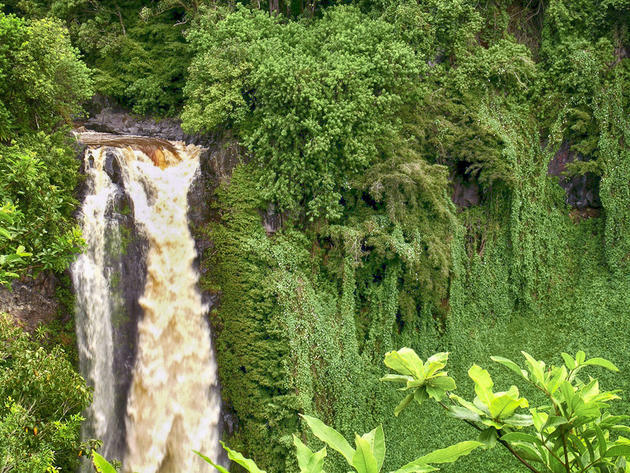 At Akaka Falls State Park you will see two gorgeous waterfalls on one very short hike. 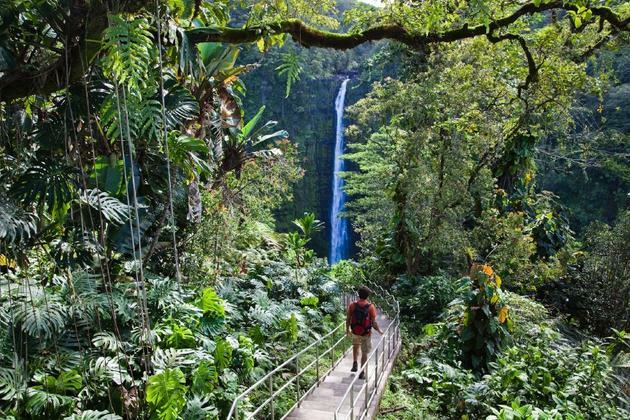 The pleasant 0.4-mile uphill hike to the 100-foot Kahuna Falls will take you through a lush rainforest filled with wild orchids, bamboo groves and draping ferns. The journey will end with the breathtaking towering Akaka Falls which plummet 442-feet into a stream-eroded gorge. Liliuokalani Garden is a serene and tranquil area to visit. Much of the park now consists of Edo-style Japanese gardens. It is said to be the largest gardens of this type outside of Japan. The gardens contain Waihonu Pond as well as bridges, koi ponds, pagodas, statues, torii, and a Japanese tea-house. A perfect place to meditate and get your Zen on! The county seat of Hilo offers multiple attractions and a beautiful insight to the island. Some attractions that definitely hit a high note with me are: Palace Theater, Paneawa Rainforest Zoo and Gardens, Pacific Tsunami Museum, Richardson Beach Park, Lyman Museum, Honolii Beach Park, Coconut Island, Mehana Brewing Company, Mauna Loa Macademia Nut Co and the world famous Hilo Boardwalk. 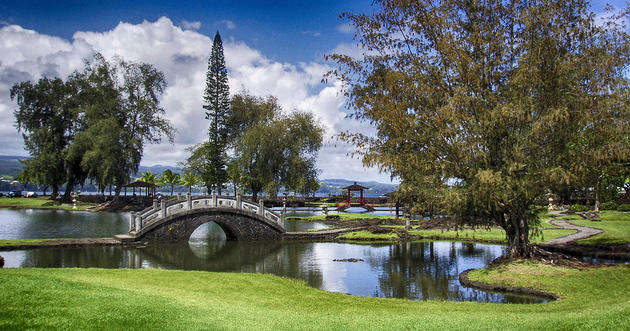 Hilo is definitely a must see on this beautiful island. Situated at the absolute southern point of the big island, lies this beautiful attraction. If you ever wanted to see what it'd feel like to be at the absolute southern tip of the United States, then this is the place to visit. The Green Sand Beach is also a unique hidden gem located at the southern tip. The green sand beach is a favorite hangout for Hawaiian Green Sea Turtles. A must see! In for an exhilarating drive? Built in 1942, this 53-mile long road is extremely dangerous with its narrow structure, blind turns, rough surface and single-lane bridges. Many rental car companies used to prohibit use of their cars on Saddle Road, but some now permit use of the road. The highway experiences heavy use as it provides the shortest driving route from Hilo to Kailua-Kona and access to the slopes of Mauna Loa and the Mauna Kea Observatories. From milepost 35 to 44 the road passes the main gates of Pohakuloa Training Area and Bradshaw Army Airfield before continuing across the military reservation. Military vehicles including armored personnel carriers occasionally cross or occupy the roadway. Artillery exercises, including live fire, are not uncommon with batteries set up along the roadway firing towards Mauna Loa. Don't listen to your rental car company – this drive is so worth it! 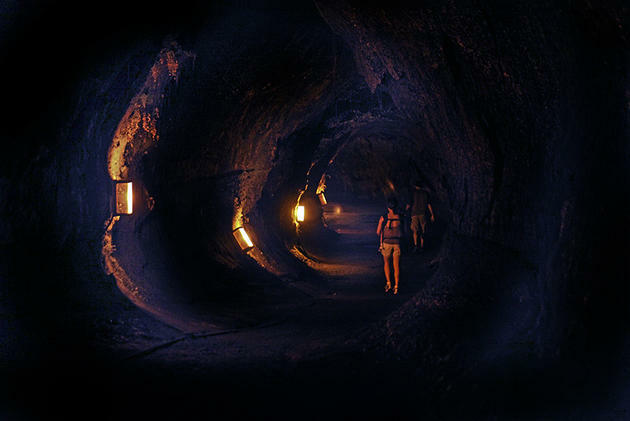 Take a walk in the dark through Nahuku, known as the Thurston Lava Tube, a 500-year old lava cave located within Hawaii Volcanoes National Park. Lava caves like this are formed when a river of lava gradually builds solid walls and a ceiling. When the lava flow stops and the last of it passes downhill, a cave is formed. These caves can be a few feet high and only yards long, or they can stretch for miles with high ceilings. The Thurston Lava Tube is a fantastic example of a massive lava cave. This statue is the original. According to the legend, this statue was lost at sea around the Falklands islands along its way to the big island. When the artist found out he quickly ordered another one to replace the original. Oddly enough, the original was found and sent to this location due it being Kamehameha's birthplace. Check this magnificent peace out! This gem located on the western side of the big island is a resort area filled with multiple attractions. Kona Brewing Company is definitely a highlight with an extremely unique brewing process and guided tour. Multiple beaches lie in this area. My favorite beaches to check out include White Sand Beach, Magic Sands, and the amazing Kahaluu Beach Park. Kailua Kona also offers the Kona Pier, Kailua Pier, Mokuaikaua Church, Royal Footsteps Along the Kona Coast, Holualoa Village (great variety for shopping), Ocean Rider Seahorse Farm and the oasis of Rainbow Falls. This touristy area has a lot more to offer! I would also recommend this to be your base on this island! With frescoes and stained glass adorning the interior, the Star of the Sea Painted Church boasts a history as colorful as its walls. Paintings tell the story of Father Damien Devester, a Belgian priest who helped Leprosy patients on the island of Molokai and later died from the disease himself. The upper section features paintings by another Belgian missionary, Father Everist Gielen, who began constructing the church in 1928. 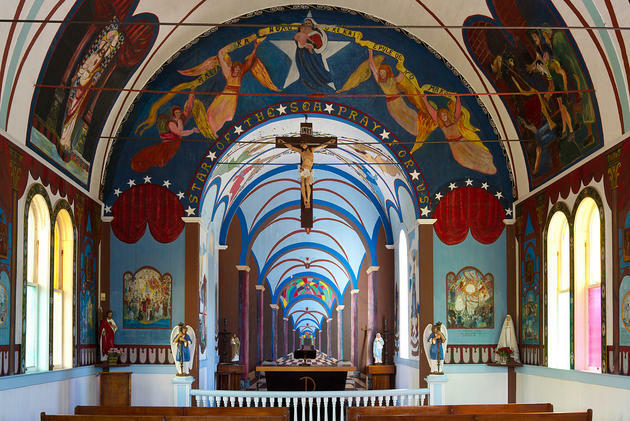 The paintings cover the arched ceiling across the length of the church. 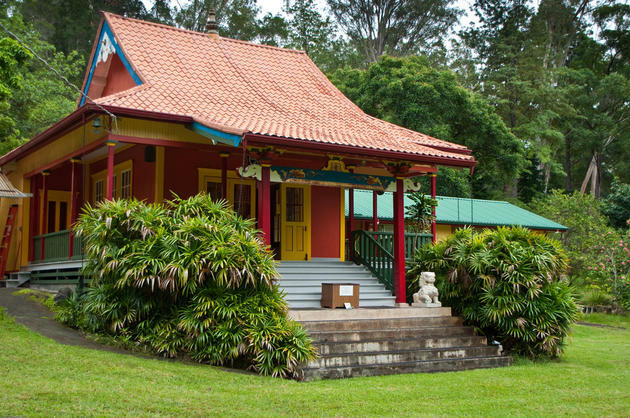 Nechung Dorje Drayang Ling "Immutable Island of Melodious Sound" is a Buddhist temple and retreat located on 25 acres in Wood Valley, the Kau District of the Island of Hawaii. His Holiness the Dalai Lama has visited and taught here. Visiting Tibetan lamas of all lineages are invited to teach programs at events open to the public. This is a place for great masters to teach and for students to practice teachings through contemplation and meditation. An oasis on this planet, Hawaii is a true living heaven. 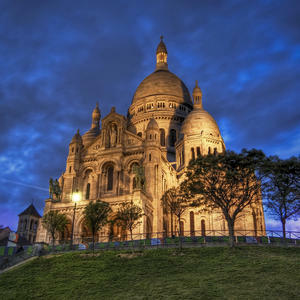 When visiting this beautiful place, make sure to have ample time to enjoy every attraction and every moment. Be sure to experience every attraction I've listed on your adventure. Enjoy your travels, Aloha! This post has been viewed 58,546 times.